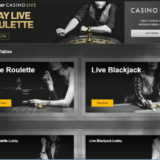 HollywoodTV Themed Live Casino Games - Refreshingly dfferent. I was attending an igaming conference in Malta during November when i bumped into HollywoodTV, a developer of themed live casino games. They were one of only two live casino operators that had a stand at the conference. I found that a bit strange as Malta is littered with Live Casino operators and studios so I thought there would be a few more exhibiting. Still it was good news for me as I got to spend some time chatting with founder David Wainwright. HolloywoodTV has a long history in the development of Live Casino games. 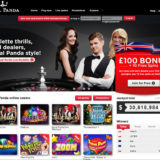 They were behind the launch of Supercasino.com and their latest venture of themed games is a great way to go. Right off the bat you can see that their product is different from other live dealer solutions. The current theme range includes Cleopatra’s Lounge, Bikini Beach, Treasure Island & Casino Royal and you’re able to play Roulette, Baccarat and a Wheel of Fortune. I’ve not be able to find Blackjack and am pretty sure I was told that it’s still being developed. At the conference they had a couple of roulette tables and some very nice presenters walking around engaging with people. The style is like a TV broadcast and is filmed from studios in Malta. 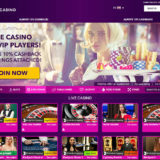 HollywoodTV is the business to business brand, whilst Casinotv.com is their online casino. If you head over to Hollywoodtv.com you’ll be able to experience playing some of the games in demo mode. I’m sure you’ll hear more of these live casino games as some of the bigger operators start adding them to their gaming portfolio.